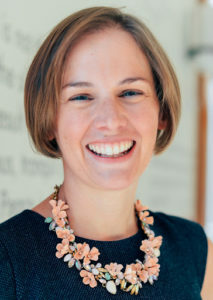 Emily Largent, PhD, JD, RN is an Assistant Professor of Medical Ethics and Health Policy at the Perelman School of Medicine and a Senior Fellow at the Leonard Davis Institute of Health Economics. Dr. Largent studies the ethics of human subjects research. Her current research focuses on the ethics of paying research participants for their contributions to clinical research and on the ethical and regulatory implications of integrating clinical research with clinical care. Her work — which combines normative, empirical, and legal methods — has been published in the Hastings Center Report, the American Journal of Bioethics, and the Yale Journal of Health Policy, Law, and Ethics, among other journals. She co-authored Clinical Research Ethics Consultation: A Casebook (Oxford University Press). Dr. Largent received her Ph.D. in Health Policy from Harvard and her J.D. from Harvard Law School. Prior to that, she received her BS in Nursing from the University of Pennsylvania School of Nursing and completed a fellowship in the Department of Bioethics at the National Institutes of Health.